IGN is flying the News Corp. nest with the aim of hastening the site's growth. IGN, one of the biggest videogame sites around, is reportedly about to merge with the smaller UGO. Once the merger is complete, the new entity will break away from News Corp. and Hearst - the original site's respective owners - and form a new company, technically separate from either. According to Peter Kafka, who writes for All Things Digital, News Corp. and Hearst finalized details of the deal over the weekend, and will release an official statement in the next few days. Kafka said that unlike MySpace, which News Corp. is reportedly trying to offload for around one sixth of what it originally paid for it in 2005, IGN is a successful and profitable site, and that the belief is that IGN would grow faster as its own company. It's thought that it could take months for the new enitity to separate from its parents. It won't be completely separate however, as News Corp. will hold the controlling share. Presumably, Hearst will hold the other share, as it has been looking for a partner for UGO since last year. In addition to the main IGN and UGO sites, this deal may also include several other sites that fall under the IGN and UGO umbrellas. 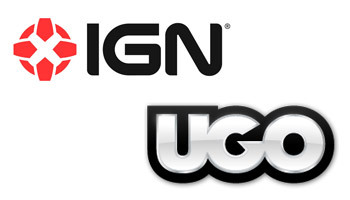 GameSpy and Direct2Drive are both parts of IGN Entertainment, for example, and 1up and Game Videos are UGO brands. Of course, until there's official confirmation of the deal, it's impossible to know what - if anything - is happening to these satellite sites. It's hard to imagine that they'd be left out of the deal, but they might not survive the merger. This is a pretty significant change in the landscape for gaming journalism. IGN wasn't exactly small to begin with - Kafka says that it expects to make around $10 million profit this year - and merging with UGO makes it even bigger still. With so much in the way of resources, the new entity could afford to offer a wide range of content across a wide range of brands. Unfortunately, we won't find out if that's actually the plan for quite some time.